The United Kingdom (UK) says results from last Saturday’s presidential and National Assembly elections are verified and authentic. The UK’s statement comes amidst claims by the PDP and other political parties that the elections was married by electoral irregularities and fraud. 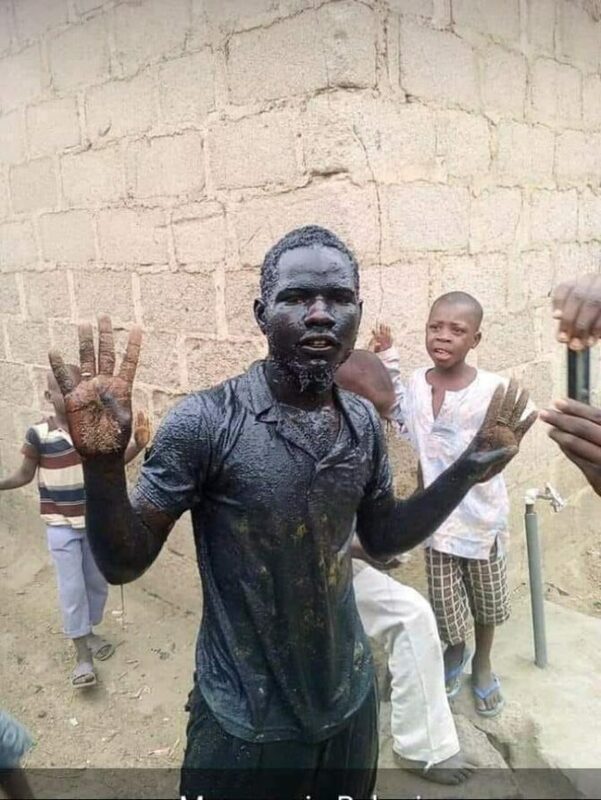 A Nigerian man has dipped himself inside a dirty gutter to celebrate the victory of President Buhari at the presidential polls. Nigerian singer, Wande Coal has taken to social media to celebrate his son, King Coal who just turned two. The singer took to his Instagram page to share a video of himself and his son. Ghanaian media is reporting that its famous actor- turned preacher, Majid Michel has been flown out of Ghana to undergo throat surgery. Although the exact country he was taken to for the operation, hasn’t been revealed. Daddy Freeze and Pastor Adeboye: Over to you. Are the police right to arrest him? A Nigerian Preacher, who was preaching on the streets in London was arrested by the Police for Public Disturbance. 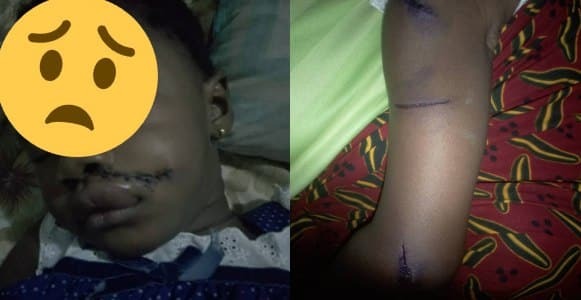 A Twitter user identified as @irep_edo has taken to the platform to raise an alarm after his little niece returned from school with deep cuts all over her body. According to him, the proprietor and teachers have not given an explanation as to why that happened . No fewer than 16 persons were killed and 40 abducted as bandits invaded Kawaye in Bagega village of Anka local government in Zamfara state at about 5pm on Tuesday. NEW film that reveals unseen interviews with alleged victims of Michael Jackson claims that he was a child s3x abuser. Leaving Neverland is expected to premiere at the Sundance Film Festival this month and features interviews from the boys who were just seven and ten at the time. 27th February 2019 – (Florida) Eight Chinese women living in Florida have been arrested in connection with the international s3x-trafficking sting that resulted in New England Patriots owner Robert Kraft being charged with two counts of solicitation. Nigerian gorgeous Veteran Actress and Movie Director, Genevieve Nnaji, who over the years have proven to be the perfect role model for the younger generation is whom we would love to refer to as sassy, confident, hardworking, beautiful and a goal achiever. Bobrisky is elated about the heights of success he has attained, this he made known while announcing his exit From Dubai. 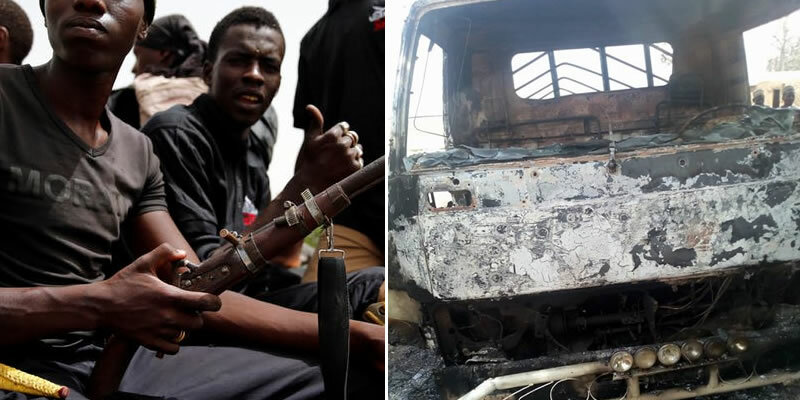 Daniel Usman, the 19-yar-old student of Kogi State University, who was killed by political thugs while trying to vote in Anyigba, Kogi state on Saturday February 23rd, has been laid to rest. 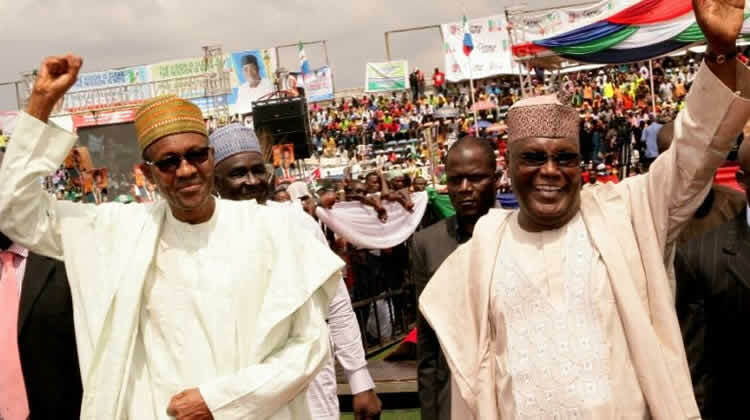 Atiku Abubakar, candidate of the Peoples Democratic Party (PDP) in the 2019 presidential election, is confident of victory when he formally institutes an election petition case against President Muhammadu Buhari and the All Progressives Congress (APC), and SaharaReporters understands one major reason for this is the wide-ranging availability of video evidence to back up his claims of non-voting, voter intimidation, ballot box snatching and destruction, illegal vote cancellation and deliberate voter disenfranchisement. 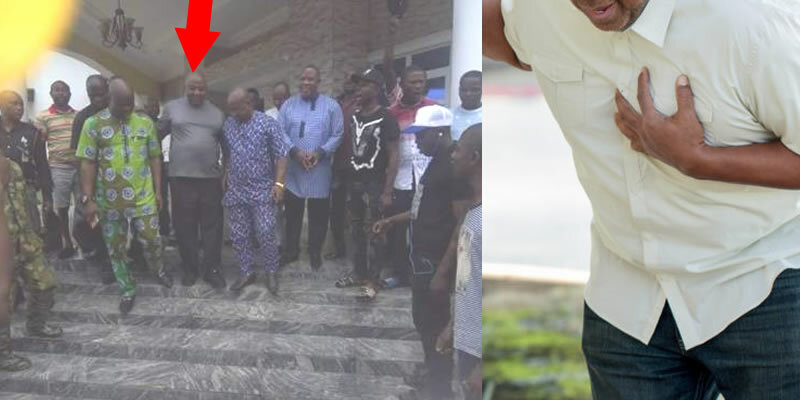 Former governor of Akwa Ibom State, Godswill Akpabio, has vowed to ensure that the victory of Dr Chris Ekpenyong of the Peoples Democratic Party (PDP) in the election for Ikot-Ekpene Senatorial District is reversed. 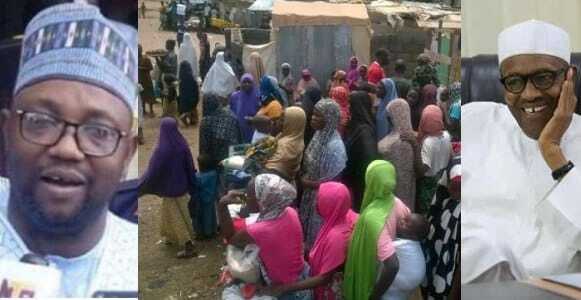 The governorship candidate of the All Progressives Grand Alliance (APGA) in Zamfara State, Alhaji Sani Shinkafi, on Wednesday confirmed that he has ejected all displaced persons taking shelter in his houses in Shinkafi for voting the APC in Saturday’s Presidential and National Assembly elections. 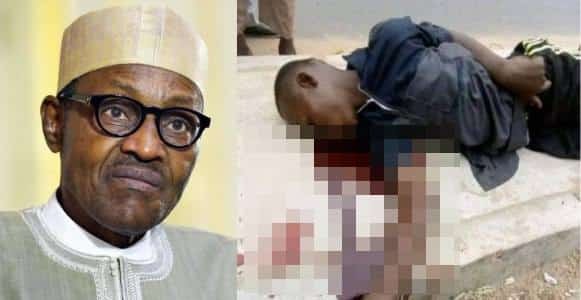 A boy has died while celebrating President Muhammadu Buhari’s re-election in Taraba state. According to reports, the deceased fell from a motorcycle yesterday while jubilating with others along a highway in Jalingo, Taraba state. Valencia P. Love, the lady who paid $100,000 to bail R. Kelly just days after the singer was arrested on sexual abuse charges. According to Valencia P. Love, a 47-year-old businesswoman, R. Kelly is an innocent man and shouldn’t be tagged a monster. Yusuf who did a pencil drawing of Kevin Hart posted on Twitter and had lots of engagement. Luckyly for Yusuf, Kevin Hart saw it and indicated interest in buying the drawing, and getting more for his friends. The 2019 presidential election might have come and gone but Nigerians are not done having a debate over it. 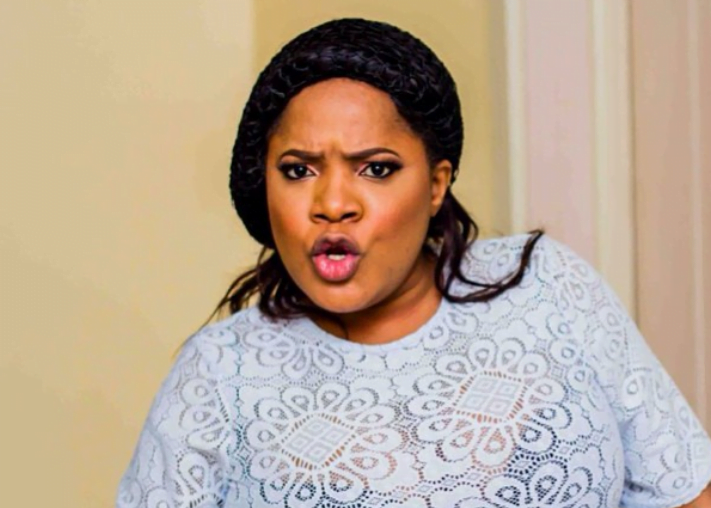 The debate continued today on Instagram as actresses, Foluke Daramola and Georgina Onuoha had a little exchange over their different political stance. This lady is running amok in Canada. 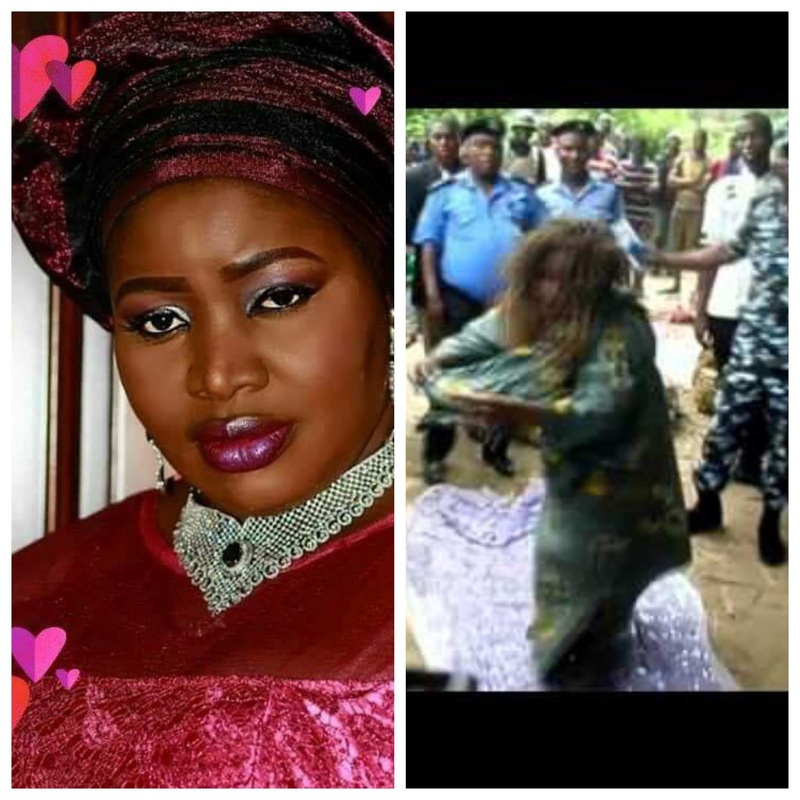 She got involved in Ajale -occultic group in Nigeria. The spirit of the killed innocent souls are chasing and tormenting her. 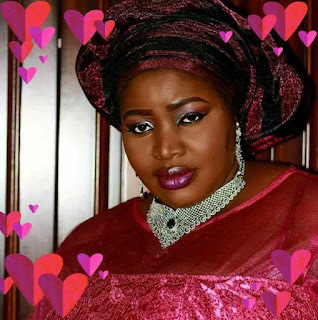 Nollywood veteran Joke Silva earlier today took to her IG page to congratulate the president on his recent win. This, of course, did not sit well with many who feel Buhari is not the man to rule Nigeria again. The local residents and neighbours at Evergreen Tower, Western Garden, Sai Ying Pun are traumatised by the death of the family of three in a horrific suspected murder-suicide two days ago. A message board was erected by this morning to enable caring people to leave their sympathy notes. At noon just now, there were already more than 10 condolence messages left on the board. At 10.21am this morning, police received a call from the security guard of Ho Shun Fuk Building, 60 Sau Fu St, Yuen Long who reported an unusual stench emitting from an apartment in the building. A tourist who disguised as a handicapped man attempted to smuggle 415 iPhones from Futian Port to Shenzhen on 25th of February recently. A netizen posted recently today a picture of a boy who defecated in front of passengers inside a train cabin believed to have happen in Guangzhou some time ago . Although he was a young boy, he seemed not to mind, pulling down his trousers and defecating all over the floor on the train during peak hours. Original article from Daily Mail UK. An almost naked man with a knife embedded deep in his back walked out of a hospital’s accident and emergency department – to have a cigarette. Reno Omokri, the former aide to ex-president Goodluck Jonathan, has urged everyone messaging Atiku Abubakar, the presidential candidate of the Peoples Democratic Party, PDP, to do so privately. Former president Olusegun Obasanjo has come under fire, after his preferred candidate in the 2019 presidential election, Atiku Abubakar, lost. In the months preceding the election, the former president who had supported incumbent president, Muhammadu Buhari in 2015, to come to power, withdrew his support – asking Nigerians not to vote for him. This is the moment an Indian pilot who's jet was shot down appears to be brutally attacked by villagers in Kashmir. 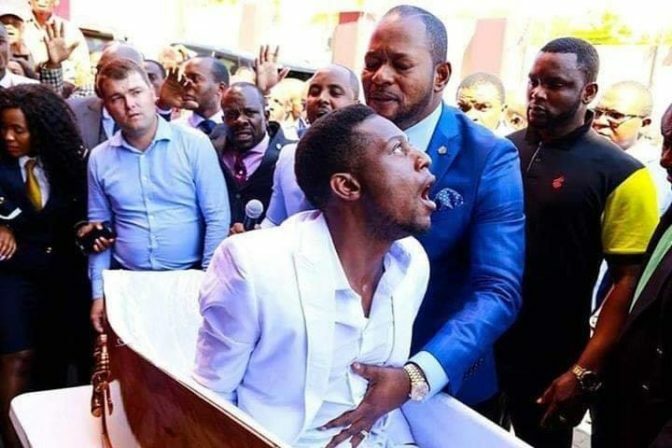 The pastor who claimed to have raised the dead has gotten himself into more trouble after a bishop reported him to the police. 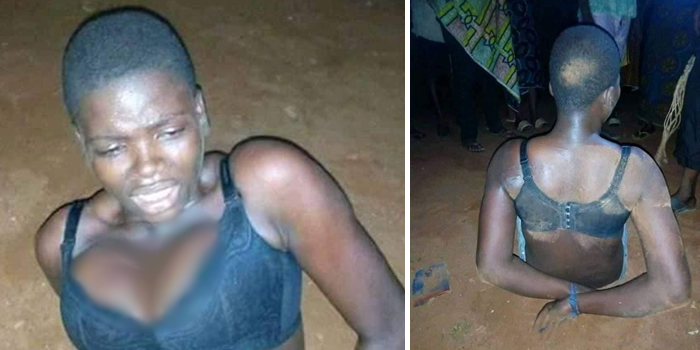 An alleged female thief has been apprehended after she was caught stealing in Auchi area of Edo state. According to reports, the girl identified as Faridat, was nabbed by residents after she allegedly stole a mobile phone through the window by 3am on Wednesday. 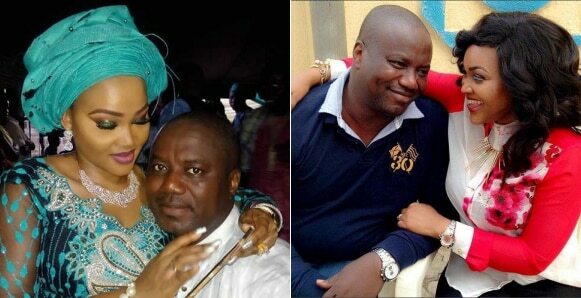 Nollywood actress, Mercy Aigbe has revealed why she married her estranged husband, Lanre Gentry, while educating a troll. A troll fired Mercy for mocking someone with bad English while she married someone who could not construct a simple sentence. 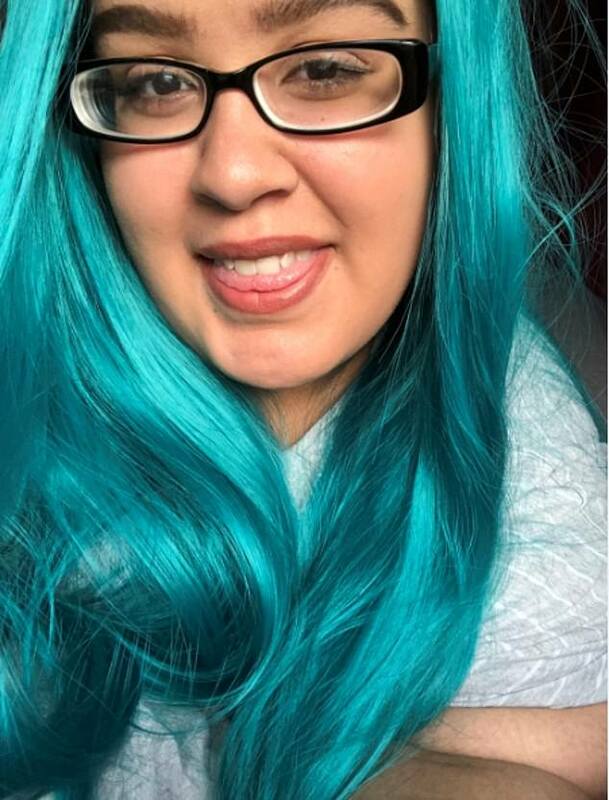 The story has been told of the 22-year-old woman who makes money by always getting paid to eat via webcam. Following President Muhammadu Buhari's victory at the polls, a man has fulfilled his promise by bathing in a gutter. 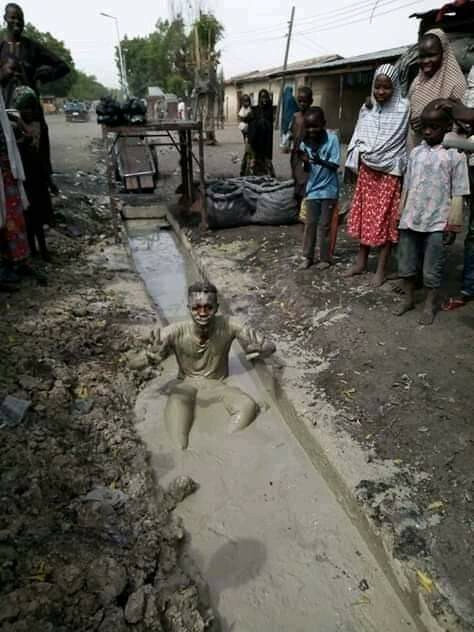 A Nigerian man has fulfilled a promise he made before the presidential election held last Saturday, February 23rd, across Nigeria after batting in a gutter for 10 minutes. The National Chairman of the Independent National Electoral Commission, Prof. Mahmood Yakubu and the Deputy Inspector General of Police in charge of elections DIG Lakanu have been accused by sources within the Rivers State Government of mounting undue pressure on the Rivers State Resident Electoral Commissioner, Obo Efanga to re-inject earlier rejected results from 2 local Governments of the State. An Enugu-based non-governmental Organisation, Civil Rights Realisation and Advancement Network, has admonished those dissatisfied with the outcome of the presidential election, to follow due process in seeking redress. Charly Boy has reacted to President Buhari’s re-election. The singer and activist congratulated the President, but has taken his time to welcome Nigerians to what he calls, “Next Level” of original suffer head. Rivers State Governor, Nyesom Ezenwo Wike has stated that the State Government has written to the International Criminal Court to prosecute the General Officer Commanding ( GOC) 6 Division of the Nigerian Army, Major General Jamil Sarhem for prosecution for crimes against humanity. A mother, 45, and her daughter, 19, have been charged with murdering 5 members of their family, including three children. Shana Decree and her daughter Dominique Decree are accused of killing 5 relatives on Monday, February 25, in Pennsylvania. 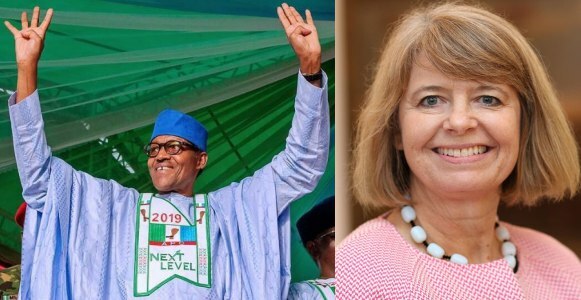 The National Association of Nigerian Students (NANS) has congratulated President Muhammadu Buhari, on his well-deserved victory, following his declaration as winner of the 2019 Presidential Election by the Independent National Electoral Commission, INEC. 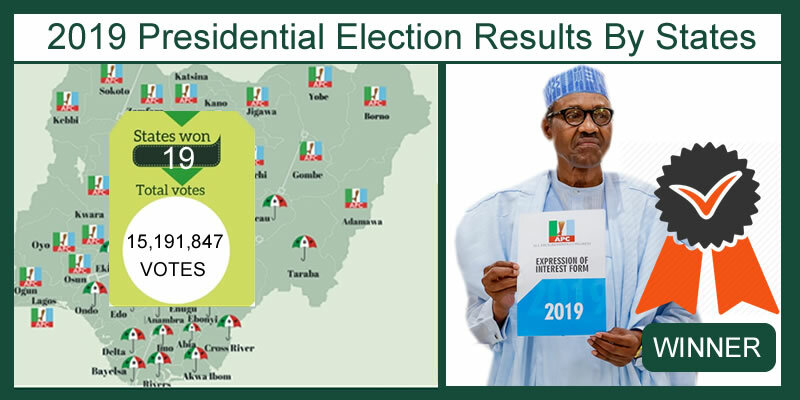 The All Progressives Congress, APC, and its presidential candidate, Muhammadu Buhari, has been declared winner of the presidential election according to results of all 36 states and Abuja; And the official announcement by INEC. BREAKING! ATIKU REJECTS ELECTION RESULTS… HEADS TO COURT!!! reports that Atiku, who had kept mute since Monday, February 25, when the results showed that he was going to be the loser, knocked the election as a sham. ctress turned politician Rita Edochie is a die hard fan of Atiku, as she declares her support for him even after he lost to the present president, Buhari in the just concluded election. President Buhari on Tuesday resumed office at the Presidential Villa, Abuja after returning from the presidential election break. aturday’s Presidential election results across the 36 states and Abuja trickles in and these are the ones announced so far by INEC. 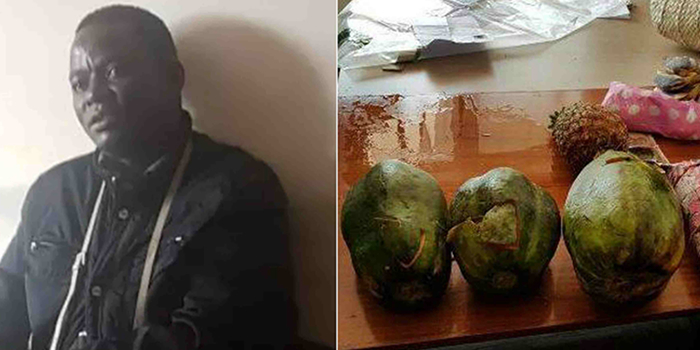 The Police in Nairobi have arrested a Kenyan notorious drug trafficker after he was caught with five kilograms of heroin. Congratulations are in order for Hon Leo Ogor, the Peoples Democratic Party (PDP) candidate and Minority Leader of the House of Representatives has been declared winner of Isoko Federal Constituency for the fifth time in Saturday Presidential/National Assembly elections. 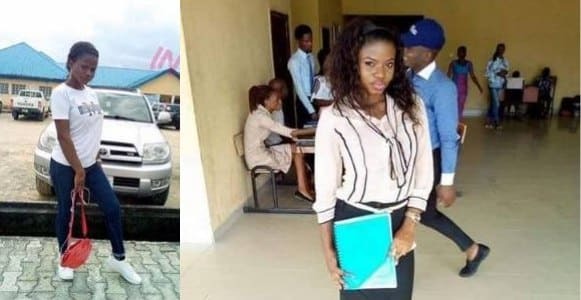 A Nigerian man, Daniel Nwankwo took to his Facebook page to encourage Nigerians to always lend a helping hand to accident victims instead of doing nothing but watch them die. Former minister of aviation, Femi Fani-Kayode, FFK has called on the presidential candidate of the PDP, Atiku Abubakar, to form a parallel government and reject the result of the presidential election announced by INEC.Femi Fani-Kayode made this statement in reaction to results of the election showing the presidential candidate of the All Progressives Congress, President Muhammadu Buhari, leading. 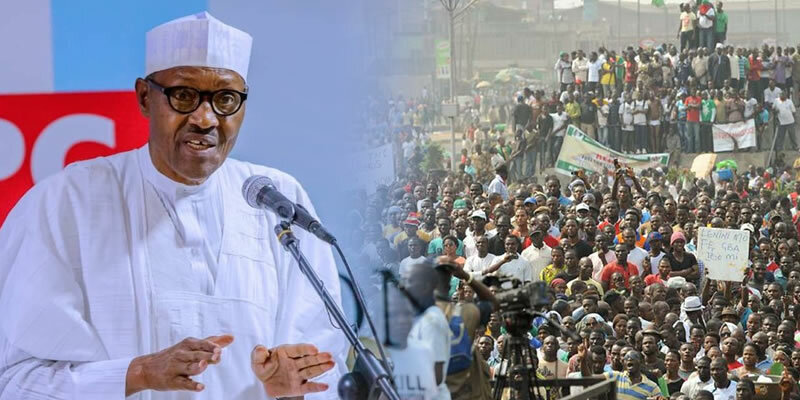 The Independent National Electoral Commission (INEC) has declared the candidate of the All Progressives Congress (APC), President Muhammadu Buhari, as the official winner of the February 23 presidential election held in Lagos state. 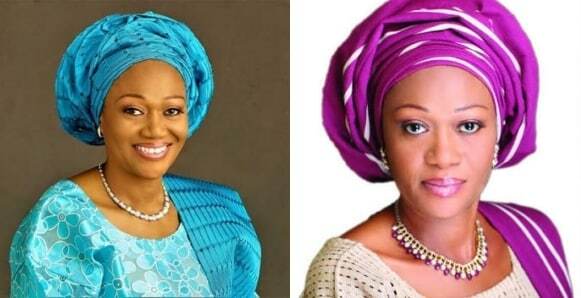 Wife of former governor of Lagos state, Oluremi Tinubu has been declared the winner of the Senatorial election by Oyeyemi Oyedola, the returning officer from University of Lagos. Nigerian singer, Davido has given up over the chance of PDP presidential candidate, Atiku Abubakar, winning the 2019 presidential election. Davido who has been a huge Atiku supporter and even went on the road campaigning for him, took to Twitter to express his loss of hope as results from the election shows Atiku stands no chance of winning. 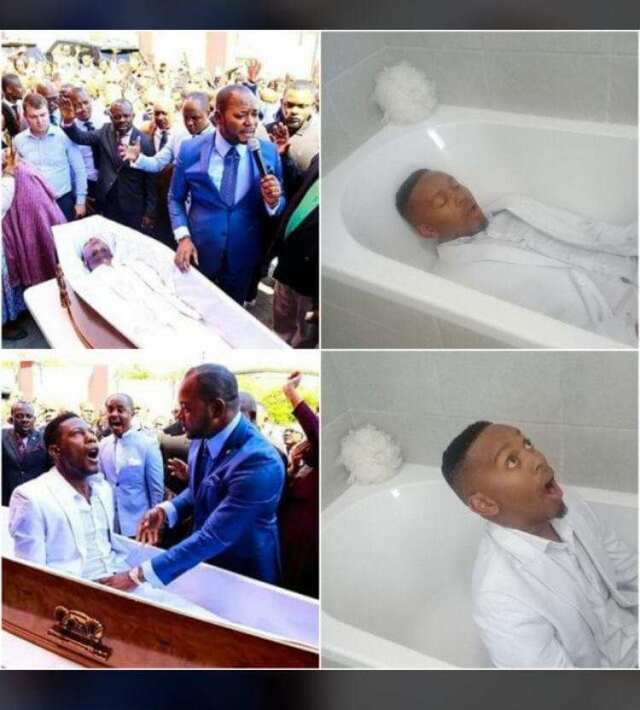 A South African prophet has become a thing of caricature on social media following an alleged staged resurrection he recently performed. 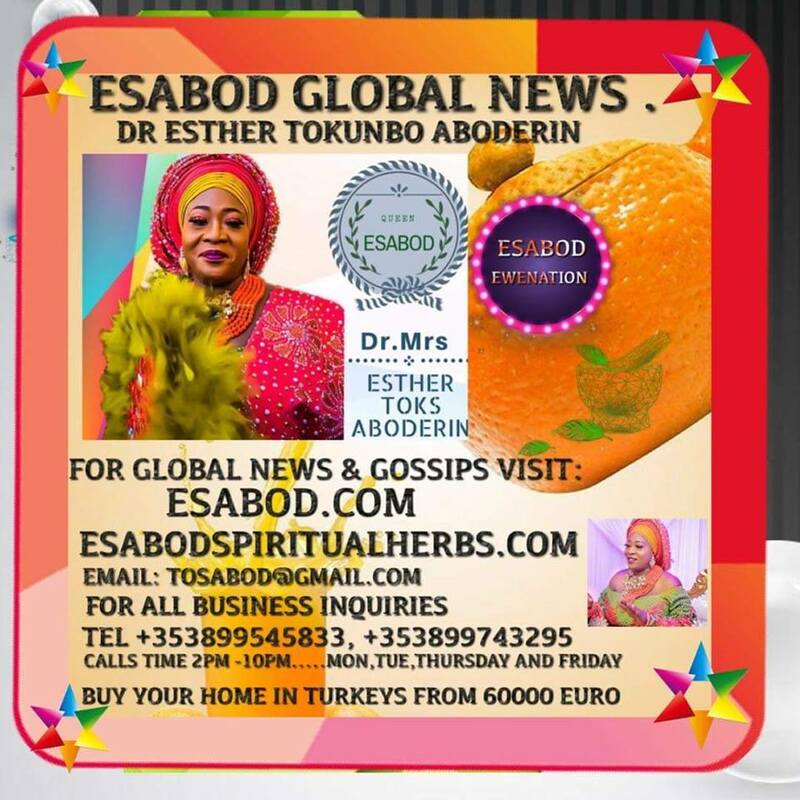 VIDEO ESABOD .DR ESTHER TOKUNBO ABODERIN MOCK GOV AJIMOBI AS SHE DANCE TO ORIKI IBADAN SONG AND SHOWER PRAISES ON IBADAN AND OYO STATE IN GENERAL. Dr Esther Tokunbo Aboderin ,has been on Gov Ajimobi's case for a very long time,Ajimobi the Governor of Oyo State who has been ruling Oyo State,Ajimobi has failed Oyo State completely . 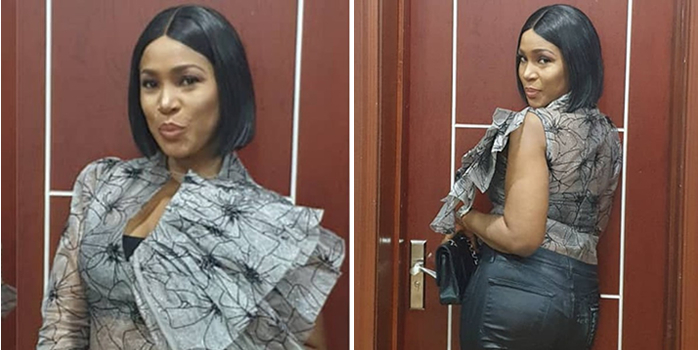 The Nollywood actress and mother of one who is currently in Dubai with her bestie Bobrisky took to her Instagram Stories to share photos of herself and her man enjoying a romantic dinner in the sky. A flight bound for Dubai from Bangladesh’s capital, Dhaka, made an emergency landing on Sunday in Chittagong, Bangladesh, after a man attempted to hijack the plane. The suspect identified as Mahmud Polash Ahmed, a 24-year-old Bangladeshi passenger from a village near the capital had been previously arrested in a kidnapping case. Dino Melaye won the Kogi West senatorial election yesterday. He has now shared a video of himself worshipping and thanking God for his victory at the polls. Linda Ikeji is one beautiful lady who has no problem showing off her lovely body in a colourful array of clothes. However, in recent times, her sister Laura Ikeji has been said to be more stylish than she is. Many fans have also attributed her style to being predictable. R&B singer, R. Kelly has been released from jail after posting bail following multiple charges of criminal sexual abuse.